So after a short hiatus from both of us here is a fresh review for our faithful readers! In case you missed it, Tony was overcome with guilt and is now giving away FREE CIGARS! Check out the contest post here, it’s super easy to enter! I was reading through a history of our reviews the other day looking for something new or different to review. I had a few Torano’s sent to me in a trade and saw we didn’t have any on the site so I figured I might as well add one to our growing library! If you haven’t noticed, you can see our directory of reviews by clicking “Cigar Reviews” along the top of the page. Out of the bunch of Torano cigars that were sent to me I’m already enjoyed a couple of them including the Noventa 90 and the Exodus 1959 50 Years. For today’s review I picked out the Carlos Torano Casa Torano. The wrapper on this one caught my eye due to it’s oily sheen, see more on this in the Construction section below. 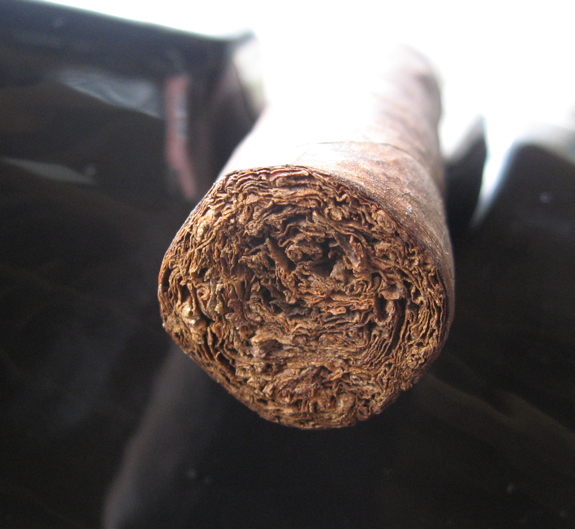 The Torano Family of cigars has been involved in the tobacco business since the early 1900’s. They have a rich and deep history and would highly recommend reading about it on the Torano website. The have a rich variety of lines catering to a large audience. The Casa Torano line is avaialble in both Maduro and Natural wrappers and span 4 sizes, Robusto, Toro, Torpedo and Lancero. Today’s pick is the Robusto size. 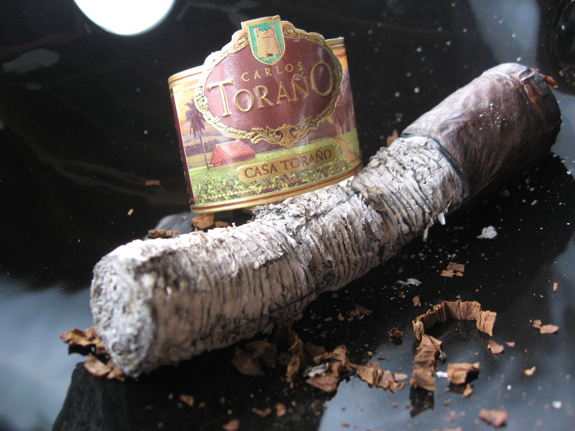 Originally, the Casa Torano blend was only offered as unbanded and freshly rolled cigars at various events. As the success of this blend grew it became it’s own line. Let’s see how this cigar stacks up on one of the warmest days so far this year in the Great White North! I actually paired this cigar just with a plain ol’ Diet Coke. Nothing fancy but I find it makes a good pairing for most cigars. I wouldn’t really recommend smoking this cigar if you can avoid it, but if you must pair it with a stiff and strong drink to mask out the boring flavors. well that is surprising Daniel. 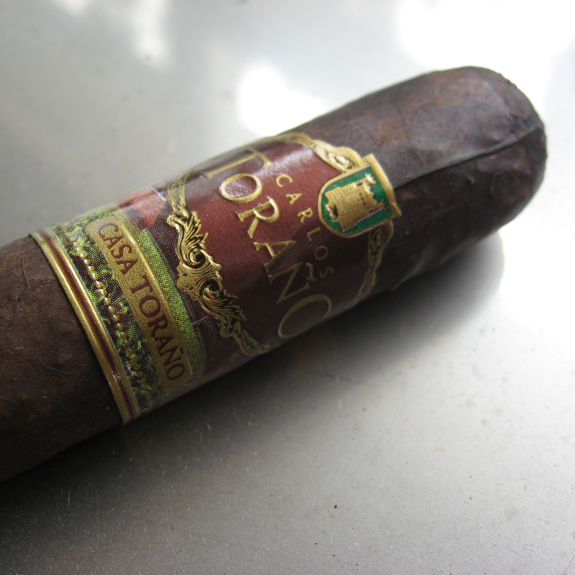 i have never tried Torano, but i always expected that they would be a great cigar. it really shows how cigar makers can’t rest on their name alone. they always have to be striving to create the best cigar possible. how many did you try of this line? if you give them another shot hopefully you’ll find one you like! good review Daniel. Dude. 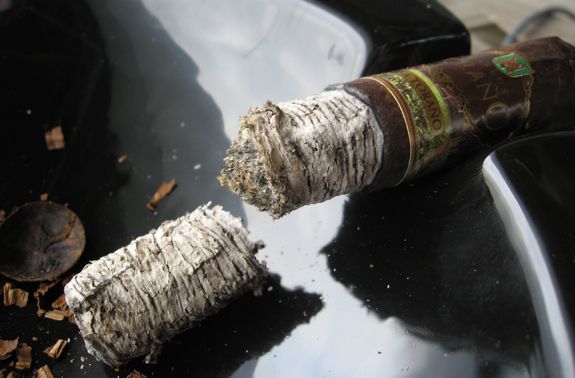 That is my worry with this cigar…. Or all Torano’s…. I walk by them all the time at the B&M. Price is way too high for what I hear and read I will get. Thanks for the headsup. Good to see you guys back! Nice review. That’s some tight ash..I dig the band too. The wrapper sells me though. I love the dark/oily wrappers. I’m a huge fan of maduro…ugh…I really hope my buddy brings me back some secretos from Cuba! 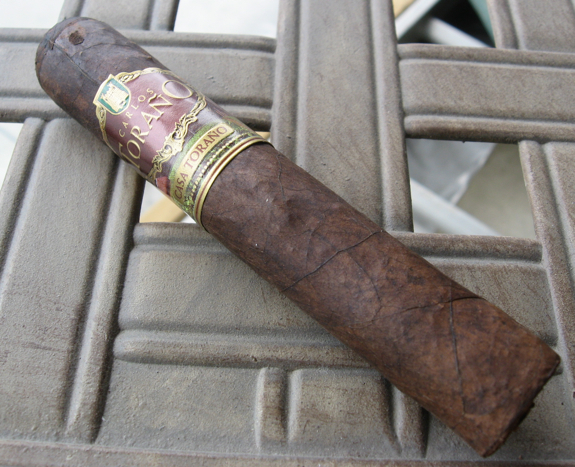 @Lou – I did have a few of these, all of the same Vitola and none of them impressed me. The Noventa and Exodus were much better smokes. So there are some Toranos I would buy again. It all comes down to personal preference of course and this one didn’t hit the mark for me. Thanks for the comment! @Tadd – Give the Noventa or Exodus a try before putting Torano behind you, much better smokes IMO. 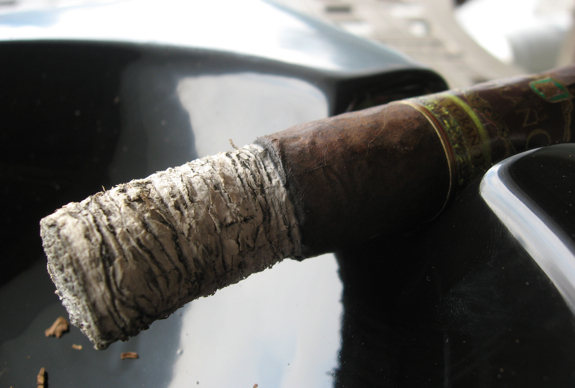 @Dan – The ash band and wrapper were all appealing to the eyes, too bad the flavors were a bit of a let down. Secretos are great but try to aim for the bigger sizes, I found them to have a ton more flavor. I’m very surprised that you had such a dissapointing experience with these. 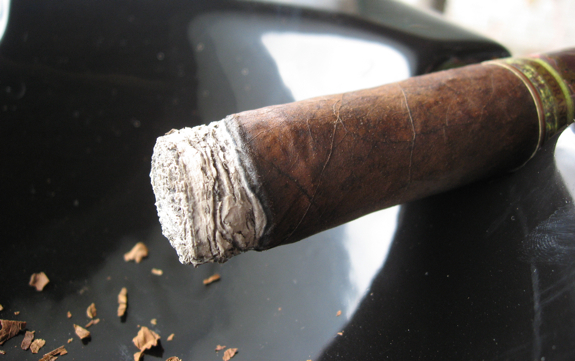 I’m almost through a box of the maduro robustos. I actually have had the opposite experience. Minor wavy burn problems and occasional tight draws, though the flavors always seemed solid. I used to smoke Torano’s but I have only found one that I find worth smoking and that’s the Exodus 59 with the silver cigar band. All of the other five different lines I have tried in the robusto size have been disappointments and I have given up on them. Well done ! Very nice executed with the long-ash shot. 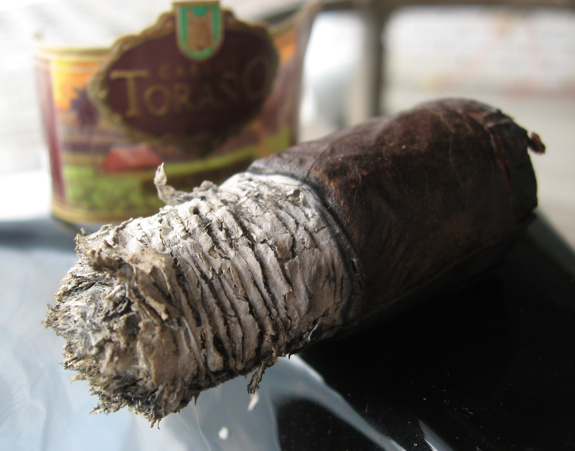 Although I enjoyed The Master, I’m not a big fan of Torano cigars. Never reached down for them. Hey Daniel. 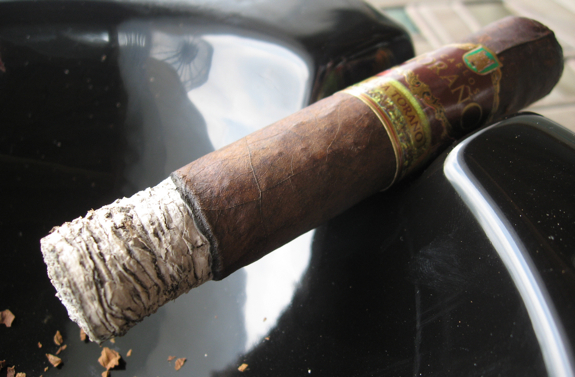 Well, here’s my first post and my first on-line comment about a cigar – ever!! I’ve been smoking cigars for about 10 years now and the Carlos Torano, Casa Torano, was my first “go-to” cigar a few years ago. Every now and then, I still smoke them – but not as often as I used to. They’re mild to medium in strength, they have an excellent draw (easy), smooth, burns great and are well constructed. The flavours are hard to discern, but one will notice hints of spice, nuts and cream. I agree with Daniel – the flavours are boring (not bad – but just plain boring). This cigar is great for someone who doesn’t normally smoke cigars because of its relatively mild and smooth characteristics. For the rest of us, they’re good to have in the humidor to pass out to the novice cigar smoker. Maybe worth picking a few up for $2 a stick, but not more than that. Cheers all. Dan D.